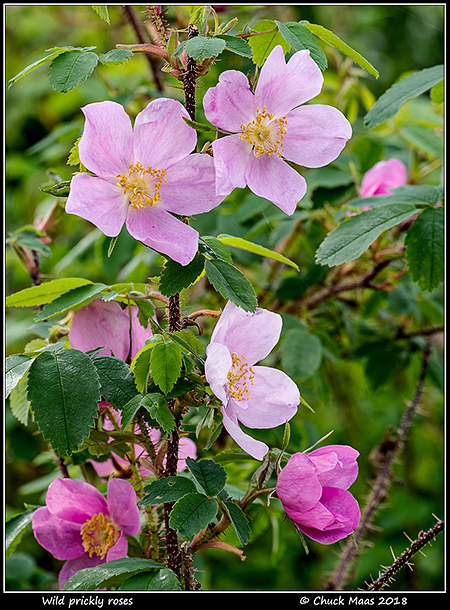 One of the most ubiquitous signs of spring in Southcentral Alaska is the blooming of wild roses. These delightful pink blossoms seems to show up everywhere. There are two species—prickly roses and Nootka roses—the former being the most common. Both develop fruit called hips which are full of vitamin C and are widely gathered for jellies, jams, and teas. This entry was posted in Flora and tagged seasons, wildflowers. Bookmark the permalink.